The warm silver frame was just what I expected it to be. It is constructed of high quality material. I am very pleased with the color. I ordered it to frame a canvas of my grandchildren. I absolutely LOVE the warm silver frames I got. They look like expensive antiques and they are very sturdy. I will definitely use this website again. The sizing was perfect and ordering was easy. 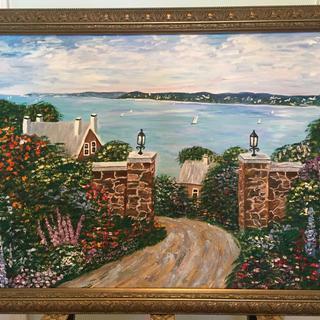 Good price for a large (40x36) custom frame. Ordered this frame with a 1.5" linen liner and it really turned out great. I put a very colorful, but small, oil painting in it and am very pleased with the results. You are the only supplier I use for “made to order frames”. They always fit perfectly. Great classic frame, capturing an antique vibe -- I've used it for vintage posters, and adds a compelling dimension. I thought the frame was very beautiful. It went very well with the painting. And my customer was also pleased with the work. This is the third custom frame I've purchased from pictureframes.com, and once again it's perfect! Everything came just like I ordered it and it looks beautiful. Frames are beautiful. 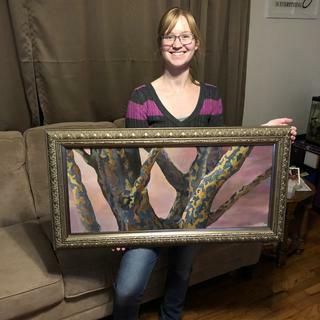 Delivered in perfect condition and will work very well for my artwork. Thank you for the expedient service. Very high quality and quick shipping.e always been very pleased with these frames! 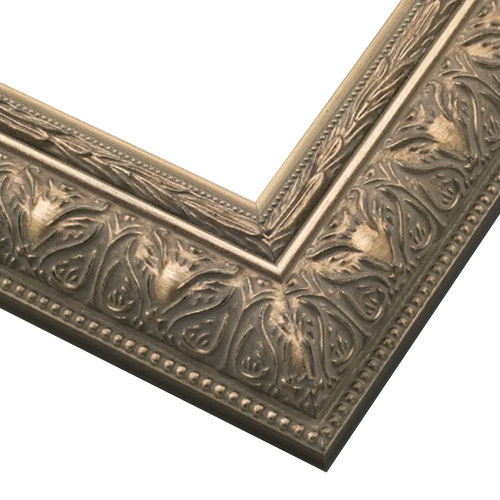 This frame is a classic that will beautifully complement an older style photo. 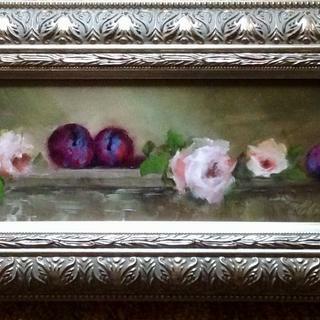 The depth of the rabbet and the warm silver metallic, which makes this frame a color match for artworks, normally placed in gold frames, because of their rich warm colors. Prior experience with frames from this company has been outstanding, as the quality of the frame is always above expectation. Very fine quality. One of my favorites. Has worked well on several pieces for me. I needed a frame for a study of Whistlers Nocturne in silver and grey from 1875. I wanted something old that would look good with a basically blue and black painting. The reviews helped me make this choice. I needed a beautiful frame for a canvas of my grandchildren. It looks very similar to one I already have displayed of them when they were younger. Also, I called the company and spoke to a representative before I ordered it. He was nice enough to take a picture of a sample from which the frame would be constructed and sent it to me on my phone in order to compare the color with the one on the computer. I think the color will look nice with my piece and I like the antique look. I have a painting that has a dark background with a portrait. I felt that the warm silver frame would help to add contrast to the image.